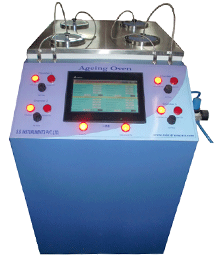 Vacuum Oven with Digital Vacuum Controller - S.S. Instruments Pvt. Ltd.
SSIPL vacuum ovens are required in almost every institution for drying, moisture removal by heating in vacuumed environment. 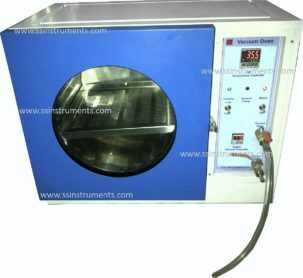 SSI 107 Vacuum Oven is a double walled leak proof chamber with inner chamber made of Stainless steel and outer chamber of Mild Steel powder coated. The Heaters are embedded, and are controlled by digital temperature controller for temperature range from 50 to 150 deg C.
Vacuum range 0-30 PSI is achieved by a separate vacuum pump connected to the oven using rubber pipe. 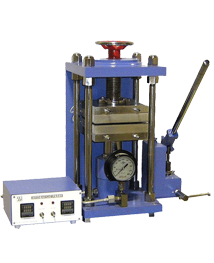 A choice of cylindrical / rectangular inner chamber is available as per requirement. Vacuum Ovens with temperature up to 300°C with Stainless steel door / Digital vacuum control with solenoid valves are also available on request.